Latest update 9 june 2012: Hooray! Upgrade to AVID Studio and save 250$ !! It's exceptionnal, do not wait and upgrade. Direct link is here (it means you will pay 49$ for upgrading to AVID Studio if you already own Pinnacle Studio). Thanks to Gert Reitner who sent us this information ! Update 6th March 2011: added official AVID Studio forum. Update 8th March 2011: added official AVID Studio video tutorials. Update 29th March 2011: AVID Studio: grab one free licence ! Update 4th Septembre 2011: Learn how to install AVID Studio ! 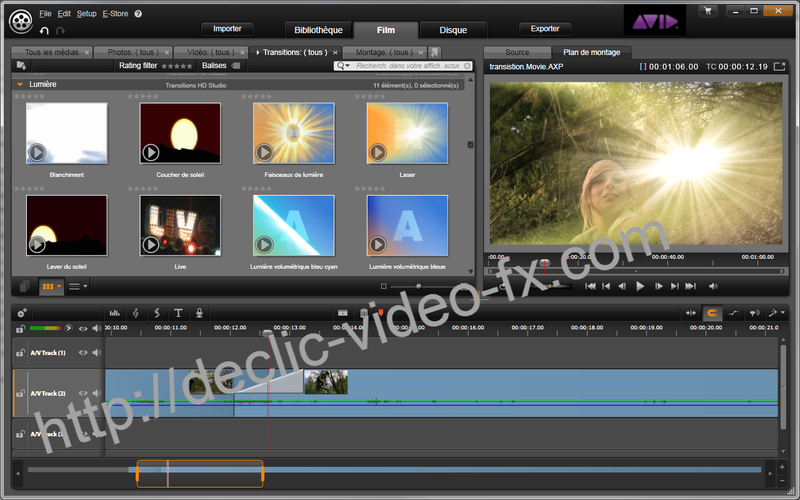 Update 19th Septembre 2011: Creative Pack for AVID Studio ! Update 23th October 2011: Patch for AVCHD Pixelated. Update 10th March 2012: issue concerning menu thumbnails with Creative/Winter Pack fixed with lastest fix - FAQ#435435 (or connect to your AVID account and download the latest version - see AVID Account - Merging services). AVID is present on Facebook. Update 18 March 2012: Hooray! Save 20% Off SmartSound Sonicfire Pro 5 and 10 Multi-Layer Royalty Free Music tracks (including 46 Sound Effects Hit Files). Use coupon code DECLIC20OFF or use this direct URL. Expires January 31, 2013 !! Thanks to SmartSound for this fruitfull discussion which allow our reader to enjoy SmartSounds products with a very nice discount. For more information regarding AVID Studio, read the information below (and in exclusivity, admire the AVID Studio screenshots). Creative and Winter Pack has been updated. Latest fix : see FAQ#435435 (or connect to your AVID account and download the latest version - see AVID Account - Merging services). AVID is present on Facebook. Red Giant Holiday Pack is available for AVID Studio & Pinnacle Studio 14/15 (49.95 $). It consists of 49 Holiday Montage templates (Background, Lower Third, Title, Video Frame). Learn how to install AVID Studio, follow our tutorial: AVID Studio Installation. With the latest patch 1.1.0.2887, interlaced AVCHD footage (24 Mbps) are pixilated. Please read this FAQ to correct it and download the DLL in our download page. What's new in Avid Studio? SmartSound within Pinnacle Studio 15 (SmartSound link) - Yes, that's correct, Studio 15 is compatible with SmartSounds / We will soon test it, and we will keep you informed. 25 th September 2011 : the patch Repare-HFX-AVIDxx-xxis replaced by TransHFX, see "Avid Studio, Pinnacle Studio and 00 - Declic-Video Transitions". What about AVID Studio compatibility with the old content ? What should be retained ? We hope to be able to inform you asap, and to unveil the results of our tests very soon !! With all this information, you should be able to make an informed choice. 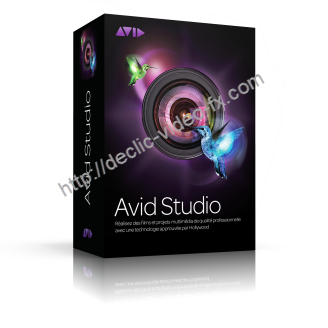 AVID Studio upgrade is available for 99,99$ You can upgrade from Studio 14 to AVID directly in such condition. Bias soundsoap is such a useful tool to have for audio correction. I'm really dissapointed that it's not going to be supported in the new AVID Studio. I also wonder if AMD multicore Processors will be supported the same as the Intel chips. In Media Composer it's Intel/quadro support only. I don't want to switch processors and graphics cards just to run AVID Studio. AMD/Firepro gives me more power for less money. That is if the new AVID Studio will recognize it and use it as effectively as Intel. At the $169 dollar price point this software is being marketed to budget minded semi pros who need as much as they can get for the money. Happy Holidays Declic. I hope the review gets finished soon. I'm considering just staying with Studio 14 UC. Your review will play a big part in my decision to buy or not to buy. I'm already feeling robbed for buying that copy of Magix Pro X that I never use. I don't think I can bear buying another video editing program that's just going to sit around and be useless. I hoping and praying that the keyboard will be compatible with AVID Studio. Making cuts is so much faster. I can trim anything before or after a given point with one touch and then the wheel. The wheel. How can one survive without the wheel. Declic if you've got the Bella keyboard please tell us if it's going to work with AVID Studio. How does this compare to Studio 15 without the Enhancement ? Does Avid Studio offer a 64bits version? I am seriously considering CyberLink PowerDirector Ultra64 v9 just because of this but I am so familiar with Pinnacle Studio that i rather get Avid Studio if the GUI and the way it works is in the same line as the Pinnacle products. Avid Studio Upgrade (boxed version) is now available for pre-order from Amazon (UK) for £65.99. This compares to £79.95 from Avid (a saving of £13.96). Release of the boxed version is expected 21st April. Hopefully, when the download version becomes available on the 8th March, a downloadable trial version will also appear. Disappointing though that it's not a 64 bit application (see Thorz's comment above). when launch avid studio ? March 8th and the Avid Studio download I ordered isn't available for download. Am I really surprised that it isn't? Oh well some of the tutorials are up on the site. I guess that'll have to keep me busy. Joe, it was there at 18:00 GMT, but don't forget that it is being released in the USA, so if you're ordering from the UK it will seem late in the day. Got it downloaded and went in for the Sonic Fire Pro Plug in and the Red Giant Plug in as well. 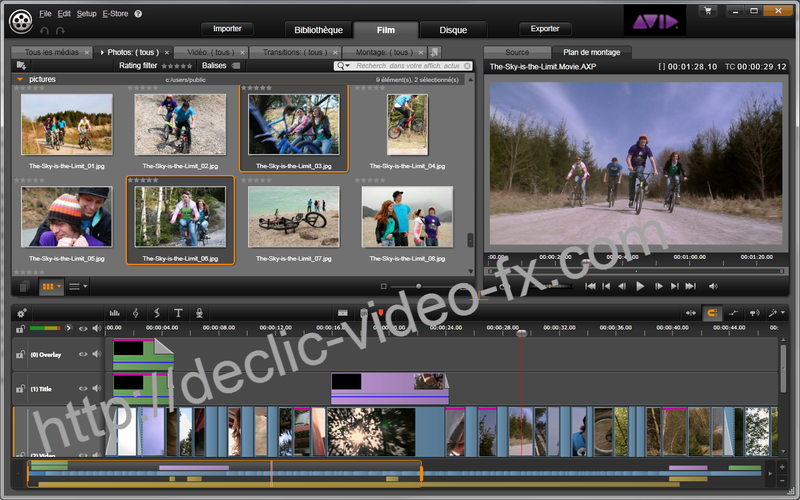 The interface looks a lot like Magix Video Pro X but, functions quite a bit different. Purchased and downloaded Avid Studio, looks nice, would be even better if I could see my video on the previewer. Attempted to contact Avid, says my support ticket number is not valid, can't get pass that on phone support, now I have to wait until they get around to answering my email. What happened to the days of getting immediate support? GONE! Thinking I should have just went with Studio 15 and not tried to change. Anyone else having this issue? Does anyone know how to reach support for Avid Studio through live chat? I've got lots of questions????? Phone # just sends me around in circles and I can never get a live person on the phone. Can any Avid Studio user let me know if projects can be added to the timeline, in the same way as audio and video clips? This would make it great for building large projects from several smaller ones. I've tried the Pinnacle chat line but got the standard answer: "Avid Studio can load Pinnacle Studio projects", which is not the same. It's a pity the manual, or better still the trial version isn't available yet. Yes projects can be added to the timeline.It's in the manual.You can also transfer previous versions video files but you lose the original time and date info so you have to divide up the files into timed scenes or manually do it.There is a content detection but it is overly sensitive,you wind up with very short clips.There is a learning curve.And I am waiting for a content transfer for the declic HFZ transitions.Lost prodad but I guess there is a upgrade for that.However it comes with a lot of content.It may be a while before I can get done playing around and make something.I haven't had time to explore multilpe video tracks yet.Haven't been this excited since my first Studio 10 experience. Just a few words though about value for money. Before I chose Avid Studio I tried the trial version of Studio 15. It is, as far as I could see, absolutely identical to S14, although I didn't try it long enough to see if it was more stable. However, for anyone using S14 I think the upgrade to S15 should be free, or at least very low cost, as it is really just a bug fix. It is rather like having to pay Microsoft for their service packs! So, in my opinion the S15 upgrade is poor value for money. But not all is bad. Having seen what you get when upgrading to Avid Studio I think it is amazingly good value for money. Also as a bonus, items like Scorefitter become available to S14 too. Not only is Avid Studio a more powerful tool, which optimises for multi-core processors and 64 bit working (although not in itself native 64 bit) but it comes with a huge amount of extras, plug-ins and tutorials. On a 10Mbit internet connection, the full amount took about 3 hours to download - that's a lot of software! Very good value indeed! Try going into system configuration and start turning off services.If you have windows 7 try microsoft for a repair tool "Mats_Run.performance.exe. ".This is essentially a tool for someone who has little experience messing with this stuff.I highly recommend using this.You make a million copies of an OS and I guess you get ghost in the machine. I have bought and installed Studio (after having purchasing PS15 upgrade, sic!) and have also used Smartsound Plug-in (previousely bought for PS15 - it works for Avid Studio effectiveley! ); first impression is - forget about PS15, I suggest to everyone to switch to Avid Studio - they have made a marketing 'trick' giving us 'update 14 as 15 - normally should be free-of-charge'. 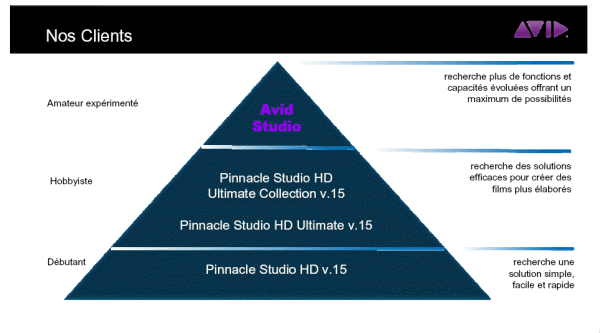 So - DO NOT BUY PINNACLE STUDIO 15, AS - I prognose - it is latest version of the program, Avid will push all users to their native program for home making videos. That's it. Looking for quick, nice way for your home-video NLE creating soft - forget Pinnacle, switch to Avid Studio or Cyberlink Power Director! Do not let make money for Avid for stupid upgrades! PS15 in comparision of the AS is 'below the line' - that is my opinion, true, but, just wanted to let you know if are going to spend some $$$ for simple NLE program for your semipro- or amateur- video productions. Thanks Decllic for your "many years" existance! Avid Studio - Here are my findings now that I've been using Avid Studio for 14 days (please also see my comment above regarding S15). I must say that I think Avid Studio is the best video editor I've ever used. It is far better than S14/S15, although it takes a while to get used to. I tried a trial version of Power Director 9 too, but found it full of bugs (work in progress as someone said, describes it well). Some things in AS are similar to S14/S15 while others are quite different. Overall though, there is very little that you can't do in AS, it being more powerful and flexible than S15. It has been rock solid stable too, which for version 1.0.0.2804 I find commendable. Now I am accustomed to using AS I find it fairly easy and very logical. The advantages are too numerous to list here, but in my opinion it is definitely far, far better that S15. If you don't own an earlier version of Pinnacle then S15 would suffice for a mid field editor, but if you qualify for an upgrade, the go for AS. I still can't get my decliic HFX transitions to show up in AS,but after installing the repare app. all the bonus effects that came with AS showed up in studio 14.I am very pleased with AS, it has not crashed once.The worst was when I got click happy and had to wait for about a 60 sec. for the timeline to respond. I've been playing with AVID Studio now since in came out on March 8th. I've dealt with a huge number of issues revolving around the fact that I put it into an upgraded version of Windows 7. All types of features that should have been present didn't show up. After working through the issues and installing on a system with a fresh upload of Windows 7 it works beautifully. Being a Studio user since version 10 I'm kind of set in my ways of thinking about editing video. Avid Studio takes a little time to get used to but it is far more powerful than its Pinnacle counterpart. The ease at which it renders effects is amazing compared to Studio14. It takes advantage of the extra RAM and processor cores when using the 64bit version of windows that the other versions of Studio weren't able to. The same transitions become viewable about 5 times as fast. I've already uploaded my first Avid Studio project online using the Youtube uploader. It uploads to Youtube as it renders cutting down on the time it takes to output a project by about 75%. It seems like every Pinnacle Studio option is unlocked. I've got to give this one the thumbs up. No problems with AVCHD footage at the fastest bitrate in 1080x1920 from pro model camcorders. I admit a few months ago I went for one of the 6 core AMD processors but, my backup quad core system with 8 gig of DDR2 800 is now able to handle the footage where it couldnt before. Check out my first Avid Studio project at this link. It worked the first try.I have my transitions now and the way they are displayed in AS makes them much easier to see and chose from.The Trans plug for 64 is what I used.When I used the Repare batch file on the 26th,it transferred all my content from AS to Studio 14,very nice though.But the trans file did it for me today.The only thing I paid for,and want, that I don't have is "Vita Scene".Prodad wants $79.00 for the up grade .Is this correct? Avid Studio - After over 14 days of trouble free use, I hit a Problem which may not have been with AS itself. AS would not start - it partly loaded then the error message 'NGStudio has stopped working' came up, then it unloaded. If anyone else hits this problem, then please let us know. @ S. Arnold: thanks for informing everybody. On our side, if we see something, we will report it. Is it possible to do Pan-and-Zoom on VIDEO in Avid Studio. It was easy in Pinnacle, I hope is possible in AVID, I just installed it but cannot find a way to do it! tell me how to fix NGSTUDIO.EXE has stopped working Error Please!! bandl - I have only just seen your posing dated 11th April. Yes, it is possible to pan and zoom in Avid Studio, both for stills and video. It is much easier and better than in Pinnacle. If you haven't found out by now, then let me know. zeulb - I don't have a fix for NGSTUDIO.EXE has stopped working, I simply restored from a recent drive image backup. I have not reported the problem to Avid, nor has it occurred since. Perhaps a unified voice from Declic would be more effective? - The 'Welcome to Avid Studio' dialog appears (as if you were running it for the first time). 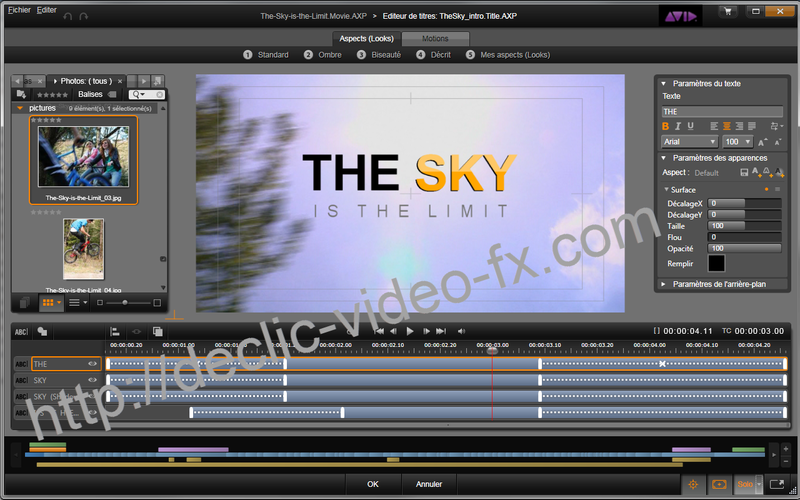 - The sample project 'The-Sky-is-the-Limit.Movie.AXP' is loaded. - Your Control Panel settings have all been reset to their default values (Avid Studio Control Panel - not Windows Control Panel). What seems to be happening, is that the settings.xml file is being corrupted, so Avid Studio replaces it with the default version, which of course does not have your settings in it. I recovered from this problem by using a backed up version of the settings.xml file. MY ADVICE – make a backup of your settings.xml file before it gets corrupted. Then, if you ever hit this problem you will at least retain all of your important settings, even though your recently used list will be out of date. Why not having an unified voice, but I would need that some of you register the problem in AVID Tracking system. Then, if you send me your Tracking number, I might try to push in that direction. Regarding the Settings.xml problem, thanks for reporting, I have added a new FAQ #8. Uninstall / Reinstall Avid Studio. Can you believe that?! Do they even read customer's reports? I guess you have not learned that all Avid is interested in is your money . Studio 15 is the example which should have been a UPDATE and not brought out as a new version !!! What makes you think that things are going to change with Avid Studio ?? I have purchased the downloadable version Avid Studio however facing a problem downloading the 2 main files. Tried using both Akamai download manager and direct download via IE. Both methods failed multiple times. Download manager is unable to resume an interrupted download. All other files, including the 2.5GB training installer were downloaded in first attempt. I am using wired connection to my router, Windows 7 with IE 9. Query submitted to Avid sales was answered by suggesting to return the download and to purchase the box version. Any work around, except switching to Power Director? Very informative reading in this forum so I first wanna say thank you. I was a PS14hd user and did several projects in it and was very impressed by what that little progam could do so when the Avid Studio came out I just bit the bullet and purchased it. So far pretty good. When I purchased the original PS14hd it came with a Pinnacle 710-USB capture device. It would come up in the import mode but as soon as I started capturing the video would freeze frame but the clip would continue recording so the final captured clip would be all the audio but just the beggining video with the remainder of it as a freeze frame. Very frustrated because the whole reason for the purchase was to digitze some older family videos I had done in the 90's. I owned the third largest Production company in the Seattle market for about a decade and was using a Full blown Matrox Digisuite with Speed Razor as the NLE software. Hey... It was COOL and very expensive back then and I could get $200/phr for Post work! ANYWAYS, this little $150 package does pretty much everything that edit bay did and then some! Other than the capture means SVHS campaired to uncompressed D1 but other than that Dang Impressive. But thinking that the upgrade would fix the problem... It did not. I now use an old laptop to capture the video and then transfer the video clips (media) to the new one and do all my editing and etc. We have a FAQ for proDAD products (FAQ #6), so far it depends if you have bought proDAD VitaScene/Mercalli through proDAD or Pinnacle/AVID. Had this problem. Inserted install disc, ran installer and selected "Repair". All is good now. Once you have that enabled, simply switch to the Administrator account and start up the app. I have S14 and some unfinished projects, but think I have an upcoming one where Studio's enhanced features willl be of great benefit. I see that old content will transfer, but does anyone know if the S14 and Studio will co-exist on same PC without conflicts or slowing the PC down? And, can Studio import S14 projects to be edited from that version going forward? Thanks! Yes, sure, Studio 14 and AVID Studio will co-exist, I have both on my computer. I did not remark any slowdown or conflict. Regarding the importation of project, even if it's possible, I would rather advice to avoid this; render your project first, and then you can import it into AVID Studio. Thank you very much for the answer. You helped make the upgrade decision even easier. My problem is I have no video in AS. Even on the pre-installed movie. Audio is fine. I see from the top of this page that ATI X1000 series or better graphics card is required, is what I have better? when installing avid studio data 1.cab error why? For your information, we just had at the beginning of the article, a link to the new tutorial: "Avid Studio installation" (how to install easily AVID Studio). BY THE WAY CAN SOME ONE OF YOU TELL ME WHY THE ProDAD FILTER (V. 1 AND V. 2) PURCHASED (BY ME) FROM THE PRODAD.COM REQUIRE ACTIVATION BY THE PINNACLE STUDIOS 12, 12.1, 14 AND 15 (AVID)? I ASKED BOTH OF THEM TWICE BUT IN VAIN – SHALL I PAY FOR THEM FOR A SECOND TIME? My AVID Studio installation is on C:\ drive, and I do not experiencethe problem you mention (NGStudio.exe stops working)... So, it's probably linked to something else. It can have various cause. For example, for me, I have AVID Studio very long to react and quite impossible to use when I have Babylon program running (it's a translation program). Therefore, I had to disable it when running AVID Studio. Regarding proDAD activation, please get in touch with us through email, and we will try to help you. By the way, did you checked this thread, which help many people who has the same problem (NGStudio has stopped working) ?? Just downloaded Avid Studio, and it seems very efficient for my hobby use, but the preview of videos disappear one second after I click stop. When I try to use effects or corrections to videos, they don't appear while adjusting, only when I play the video segment after adjusting. It sounds like your PC is not fast enough for this task. What is the specification of the PC you're using, and are you editing standard or high definition video files? Great review. 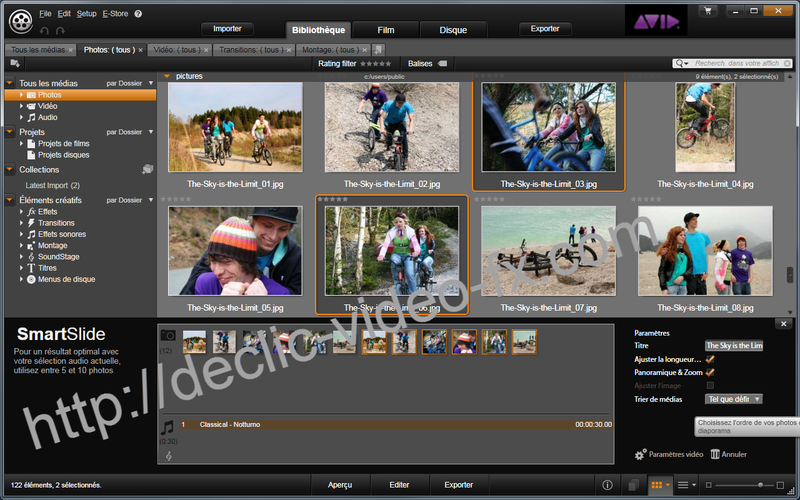 Avid Studio allows users to make high quality films and videos. The interface is easy on the eyes and the tools are indespencible. I love the add-ons (especially Magic Bullet Looks). First time posting on this site - There's a lot of great information, thank you! I've been using Pinnacle Studio 10.5 (yes, I know it's old), but it's been working for me for the projects / presentations I've done. Now comes the two big questions.... other than killing all that I've done, can I run this older version on the same system as Avid Studio? And, what format of rendering would be advisable for the sake of moving what's been done to the new version while allowing me to edit / add more clips or snippets in the newer Studio? By the way, does everyone have a problem with finding a support with the newer Avid? Thanks for all your inputs! - With the newer AVID, try the chat helpline which is useful. For those who still have a problem with NGStudio has stopped working" error message, please consult AVID FAQ on this topic. Thank you so much.I tried the fix and yes I lost a lot of stuff,but it has given me a chance to edit out a lot of stuff.I am now in the process of putting S14 back on my machine so I can transfer my content which goes back to S10.Word of advice,IF your are upgrading leave your last version ,if stable, of Studio in case something goes wrong.In my case I had left Studio open while the machine went to sleep and over a few days that file corrupted Studio so bad it wouldn't open.So you never can tell what might be fatal. FINALLY WITH AVID STUDIO X64 I CAN DO THING IN MY VIDEO RECORDINGS (i. e. THE VARY MANY OF THE MONTAGE(S) TYPES (STYLE) FOR WHICH THE WELL FAMOUS AFTER EFFECTS CS 5 OF ADOBE TOOK DAYS TO DO THE SAME THING! Hello to Constantinos.I love your comments.People keep asking me why I don't get FCP,and I say why? Avid makes FCP look pro-summer and I don't have to pay for an overpriced computer.I am hoping to start an event business and until I am ready for full length feature films I will stick with Avid,especially if they go 64 bit...hint,hint.Do you post your videos anywhere? I would like to see your corner of the world. I just wanted to say thanks to everyone involed on this site.I made exstenseive use of the HFX tuttorials in restoreing my application.I used the new transfer apps. and it was all very painless.I now have all of my plug ins and all of the 00 declic HFX transitions,and it seems to all be running cleaner than before.My question for today is, I now have S11 and S14 installed and was wondering should I un-install one or both of them.I don't use them and they take up space,but I don't want to re-install them again for a fix if I don't have too.Once again you have pulled my n**s out of the fire. I didn't think to check my security app. When it did it's once a month full scan, it thought that S14 and AS were viruises and disabled them.It should be just a restore but I'm posting this as a reminder to all those who need to re-install to check all the other computer settings that might effect your program. I confirm that proDAD VitaScene V2 Pro is working on Windows 7 64 bits (my configuration). Try to email proDAD, they are very reactive usually. so far this has been the most informative site i have seen!thanks! so question: i am using Avid Studio on my laptop, i have more than the minimum requirement for specs.winds 7, 64bit, 8ram,i5 ect yet i am still having an issue that i can not sort out! after importing AVCHD footage into avid i do not have audio on my clips. clips that are only a few seconds i have but anything longer than that there no sound! any one have a clue what im doing wrong?? i have downloaded a convertion programme yet with that one i convert my AVCHD footage to a lower format i cant convert it back up after having edited the project, to burn blue ray? Try transfering the file to a hard drive location first.Then open Import and use the "My Computer" option.Copy,don't use the link option,to a new location.If you transfer from the camera with other than fire wire the USB port can slow things down,ditto with the memory card.However that seems to depend on the cards quality.I have a GoPro with two different memory cards.One brand works wonderfully.It can actually be faster to use the card as the memory location,the other brand of card, I have to use the work around even though both are class 10, which btw is the lowest class to use.I am assuming you aren't using a dedicated computr to edit with. i did what you suggested but still no change. from all the research i have done im starting to believe it has to do with the footage not being uncompressed when i import, but i cant find any programme that will do that i assumed it would be done in avid like it is in FCP. do you know of a programme i can maybe download to uncompress the footage so i can then import into avid? What kind of file is it?The only thing AS can't handle are files above HD.like RED,3D,or other Cine grade codec's.There is Soreson Squeeze(forgive the spelling please)I can download straight from my GoPro memory card to AS.The only reason I use the GOPro Cineform is for time laspe.You do have to turn off the 3D editor or AS can't read it.In fact AS doesn't like the Quick time file GoPro converts it,AVI or MOV, to so I reconvert it in it's editor to a Quick Time MPEG-4 file which AS can read.One of AS features is that you can work with the native file without having to re convert it as you do with fcp.